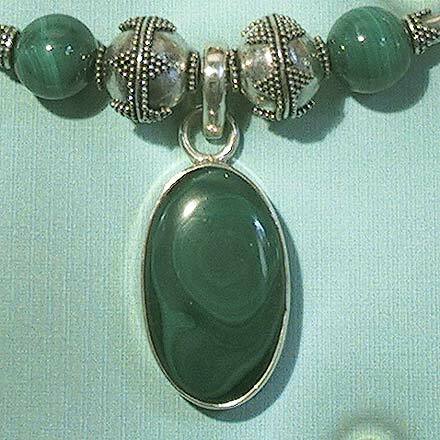 Sterling Silver Malachite Necklace. See Closeup. 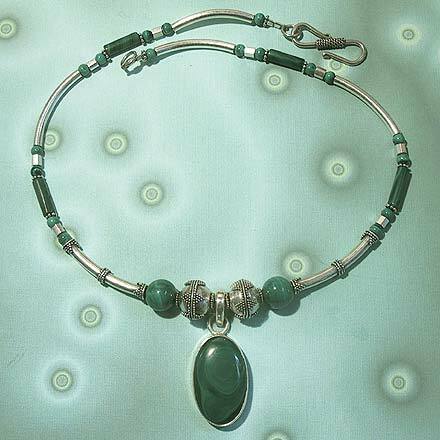 Tube beads of Silver and Malachite are the main theme in this jewelry set. The 1.6" pendant hangs from a 16¾" necklace. The matching bracelet is 7¾". 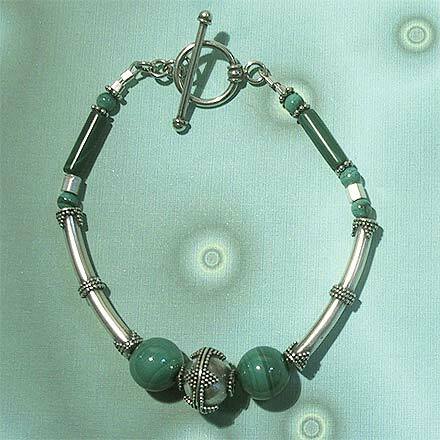 For those who are interested in Astrological significances of stones, Malachite corresponds with Scorpio and Capricorn.